I have a confession to make. Over my years of ministry, I was much busier on the Saturday side of Easter than I was on the days following Easter. The week preceding Resurrection Sunday, beginning with Palm Sunday, was full of activities. Each activity had its own meaning and purpose. Everything from the children singing in the parade of palm branches to the sounds of silence in a darkened sanctuary. From egg hunts with children running and laughing to holy communion with adults somber and reflective. Add to those activities Easter Sunrise service, Easter breakfast, and Easter worship, with people busy cooking, singing, teaching, and preaching, I was worn out on Easter Sunday afternoon. Although it was all good and mostly went well, I was relieved when it was over. I could go back to my routine where everything was not so special. May I state the obvious? There is nothing profound here, but I have to say it. 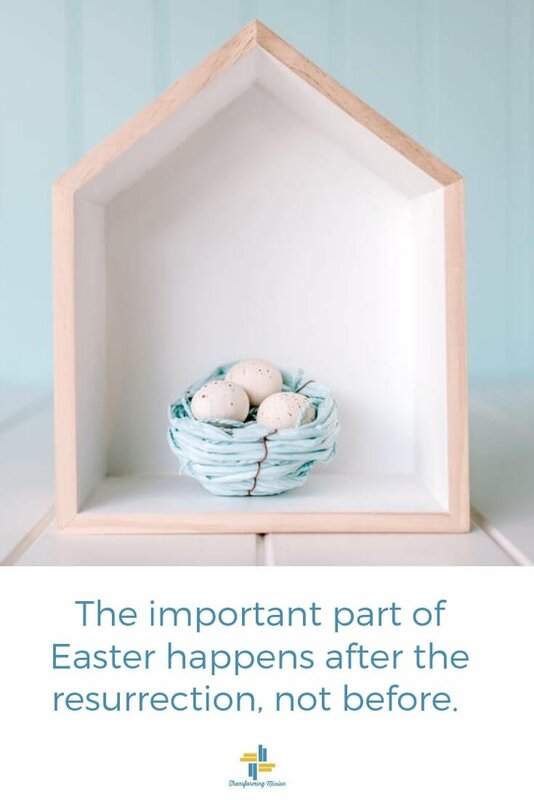 The important part of Easter happens after the resurrection, not before. As good and as necessary each and every activity is leading up to Easter, what is vital and what gives life and hope to the world comes after the resurrection celebration. So, what do we do after Easter? “Yes, Lord, you know that I love you,” said Simon Peter. This is the assignment of Easter. Because of the resurrection, this assignment is made meaningful each and every morning. You and I have the opportunity to translate it into our everyday living and into the life and ministry of our congregations. But after all the activity on the Saturday side of Easter, who has the energy to tend the lambs and feed the sheep on Monday? Some of those lambs will still be lambs 40 years from now. Some of them will refuse to eat. So, what was Jesus doing? He was feeding people, caring for people who were pushed aside, healing those who were broken, restoring relationships for those who had become disconnected, serving in humility, and dying on a cross. Now, do you believe that? Easter Sunday is over. Now, what will you do? Go back to business as usual? https://www.transformingmission.org/wp-content/uploads/2019/04/Now-what-do-we-do2.jpg 1080 1920 Tim Bias https://www.transformingmission.org/wp-content/uploads/2017/09/logo-horizontal-color600x75.png Tim Bias2019-04-23 13:29:482019-04-23 13:31:02Now What Do We Do? 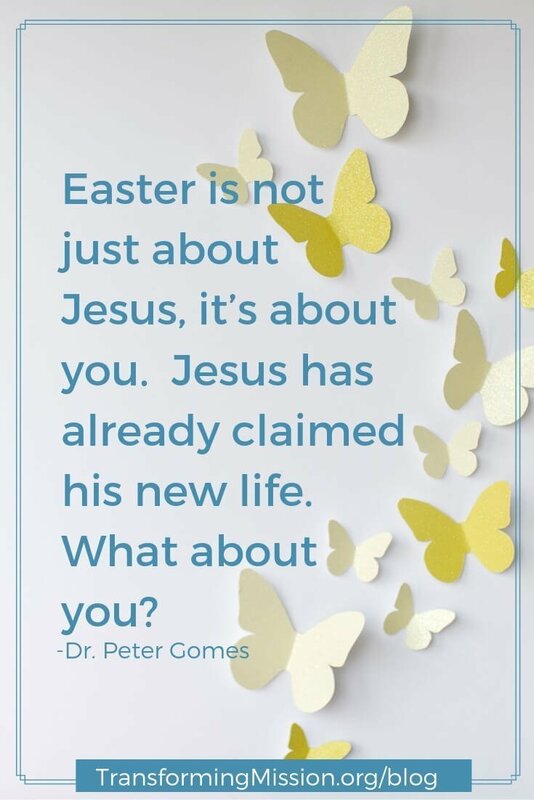 What transformation will you experience this Easter? But who else can truly tell the story? They are witnesses to the resurrection. They are involved in it. So, how can we be involved in the resurrection? How do we become proof of the resurrection? Without hesitation, Gandhi responded with clarity and directness. In other words, to be involved with the resurrection, you and I must be “all in” followers of Jesus. We identify, not only with Jesus but, with the people with whom Jesus identified. That means we will have to identify with the poor and oppressed, the marginalized and forgotten, and with the uber-religious. Identification and relationships are essential to being “all in”. You and I will have to have personal contact with people who suffer as well as celebrate. serving meals, visiting the sick and lonely. These actions are ways we can identify with the people with whom Jesus identified. As we do, we can discover the humbling joy of receiving more than we give. Through identification with persons and involvement in their lives, we can become the proof of the resurrection. To be involved with the resurrection, you and I, must not only love like Jesus, be “all in” followers of Jesus, but we must listen to the witness of those who have been with Jesus themselves. The greatest clue to being involved in the resurrection is in the witness of the women at the empty tomb. When the women do speak, when they find their tongues, when they witness, I will listen. Maybe the greatest proof of the resurrection is seen in the transformation of our living. We don’t even have to say much when we are loving one another as we have been loved. But we do need to listen for the ones who know Jesus personally. That’s where we’ll hear, see, and experience the power of the resurrection. That’s where we’ll claim the new life. This Sunday, my prayer for you and all who gather is this: Easter transformation. May it be so! John Wimber, the founder of the Vineyard Christian Fellowship, tells the story of the first time he attended worship in a Christian church. He said he didn’t know what to expect, but what he thought was going to happen did not happen. After attending worship for three Sundays, he became frustrated. One Sunday, after worship, he approached a man who looked like someone with authority. The values of the church in the above story are revealed through the actions and inactions of the congregation. Anyone of our congregations will reveal who we are to the community through our actions and inactions with the people we encounter. Often our values are unnamed. When this is the case, it is only when a conflict of values occurs, that we become aware of what we value. As a congregation, when conflicts arise around core values, consider whether you have stated your core values. Name the behaviors that bring the values to life. When you do, you’ll be better able to encourage people as well as define expectations of within the church culture. people understand the expectations of following Jesus. Afterall The core values point to who we are as Jesus followers. After all, if our core values are going to help reveal who we are as Jesus followers, they will propel us to action. If this seems like a challenge, remember, you’re not alone on this journey. Scripture reveals the conflict of values that can unfold as we encounter the love of Jesus. Look at the story in John, chapter 9. It was the Sabbath day. A blind man comes to Jesus for healing. With a little spit, dirt, and a loving touch, Jesus restores the man’s sight. You would think the church would rejoice and celebrate this miracle performed in their very midst. But they are working from a different set of values. So off they go to question the man’s parents. So, they question the man again. Now, why would they do that? The answer is, or at least my answer is, they are operating out of a different set of values. Even though they say they are God’s people, they are revealing a different identity. This story reveals a conflict of values. The one who was born blind learns to walk in the light, while those who were gifted with normal sight choose to remain in darkness. 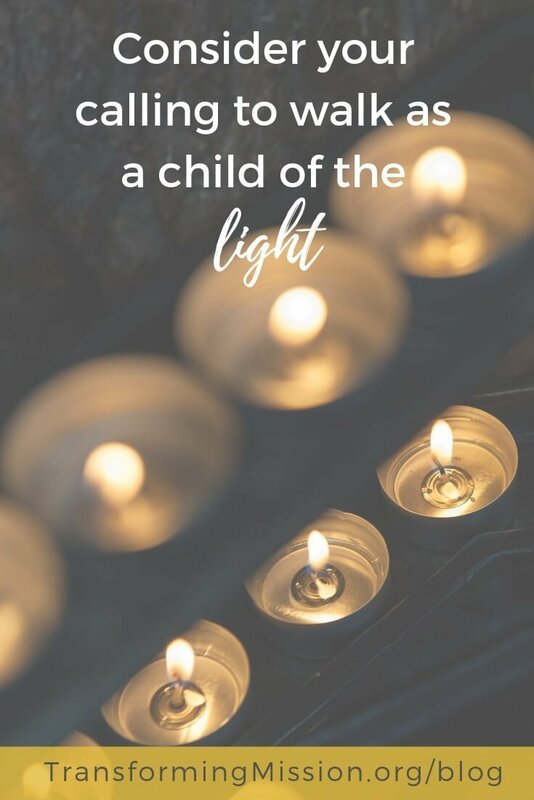 When we consider our own calling to “walk as children of light,” it’s easy to recognize which character in the story we ought to imitate. Like the man born blind, we too have been restored by our encounter with Jesus. We too have been saved by God’s free grace, and our eyes have been opened to see the world in a new, counter-cultural way. If God’s grace is a value we’re willing to claim, our response to God’s grace will also come from our values. 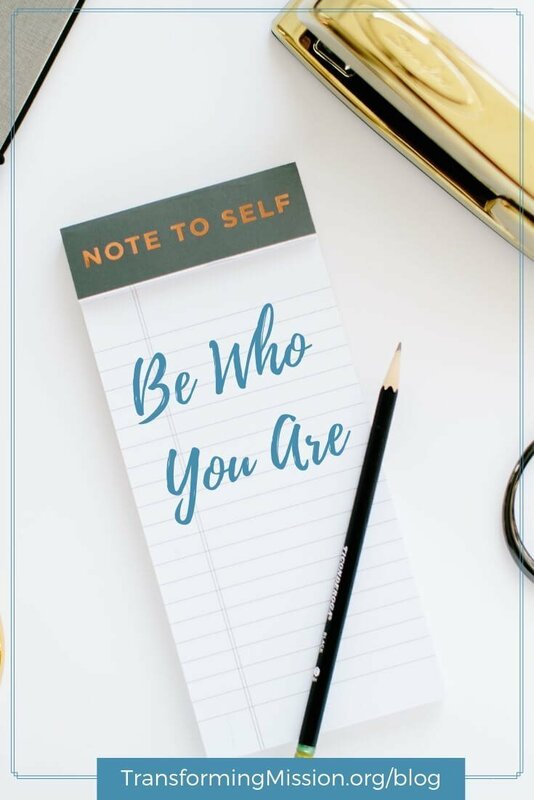 The challenge is, when aspirational values lead the way, we leave people wondering, “Is this who we are?” “Is this what defines us?” Instead of questioning who we are, let’s help people celebrate who we are as followers of Jesus. Our core values motivate and sustain our behavior over the long run. Our values guide our behavior as well as our relationships with one another and with the community. Let’s be intentional in developing, sharing, and teaching the core values that focus our ministry and mission. When we do, we’ll be better able to help others encounter Jesus – the One who feeds, heals, and gives us eyes to walk as children of the light. Download the Congregational Core Values Companion Sheets. You’ll be guided through leading local church leadership in identifying the congregation’s core values and the accompanying behaviors the church seeks to encourage. 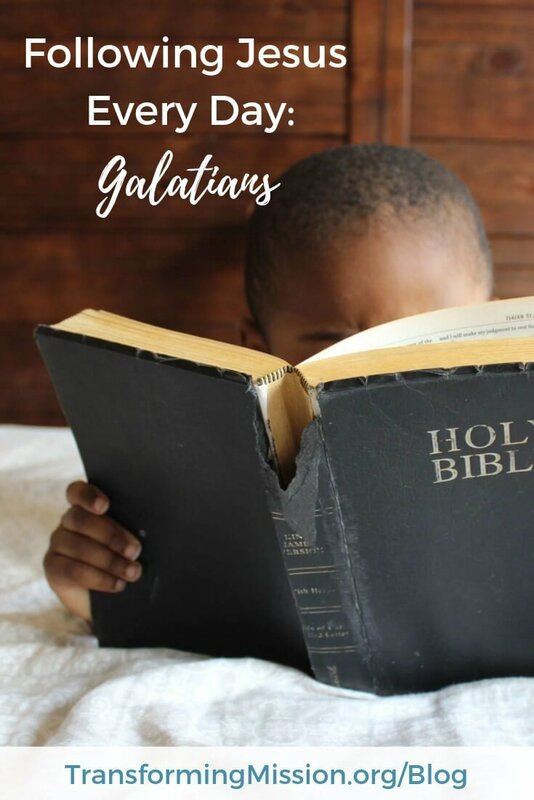 Participate in Following Jesus Every Day: Galatians, Gospel of Grace, a daily Bible Study that invites you to read, reflect, and respond to Scripture every day. We’ll deliver an email to your inbox each morning to help you journey through the book of Galatians. Sign up today! 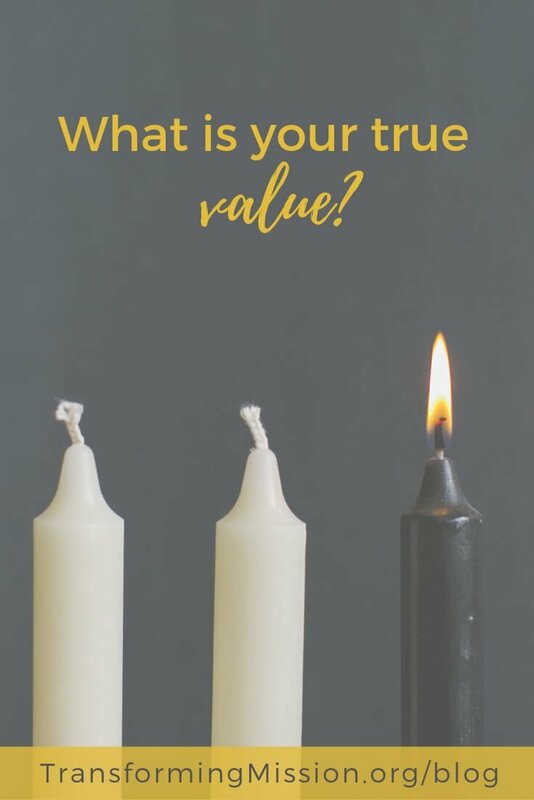 We’re starting April 22.
https://www.transformingmission.org/wp-content/uploads/2019/04/blog-what-is-your-true-value2.jpg 1080 1920 Tim Bias https://www.transformingmission.org/wp-content/uploads/2017/09/logo-horizontal-color600x75.png Tim Bias2019-04-09 12:19:272019-04-09 12:19:45What is Your True Value? Sometimes when I gather for the business of the church, expecting a report, I receive invitations that surprise and move me. You may have been there with me when I heard this invitation. Perhaps you heard the invitation at another location or even watched on a video in the days following. As I sat in the sanctuary at Peace UMC – Pickerington listening to Bishop Palmer debrief General Conference proceedings, we were invited to respond in several ways. Two of those responses included studying Galatians and A Plain Account of Christian Perfection. As has often happened in my journey with Christ, when I hear an invitation, a message, a prompting that piques my curiosity, I jump in…with both feet…to the deep end of the pool. That’s my mojo when it comes to following Jesus every day: I’m all in. That’s exactly what happened with Galatians. I would love to tell you the imperative touched me at the depths of my soul to “study Galatians” was because of memories of the complexity, beauty, and challenge of this book. That wasn’t the case. I’d studied Paul’s Prison Epistles, I’d taught Romans, I’d explored many of Paul’s letters. But, most of my time with the Book of Galatians was spent in Chapter 5. You know, the chapter where Paul talks about the fruit of the Spirit. As I began to explore the letter, verse by verse, chapter by chapter, I found myself seeing the diversity of gifts offered in the church, the tension of our current situation as United Methodists, and the gospel of grace Paul challenges us to live in new ways. I am encouraged, challenged, and humbled as I continue to study the Scriptures. The transformative power of studying the Scriptures comes in the challenge of living out what I am learning. Said differently, it’s in following Jesus every day that the Scripture moves from words on a page to life-giving fuel for our soul. The study of Galatians continues to offer that reminder. As a result, Tim and I started working on a reading plan for Galatians to share with you after Easter. Because many of us were listening that day, a team of us from across the conference are working to create resources for worship and small groups. Watch for more information very soon. Today, we invite you to a daily study of Galatians we’re calling, Follow Jesus Every Day: Galatians, Gospel of Grace. The daily study runs April 22- June 2, coinciding with all other conference resources being developed. We’ll journey through each chapter and verse of Galatians, offering questions for reflection, a daily prayer, and opportunities to interact online. Following Jesus Every Day: Galatians, Gospel of Grace can be used as a companion or independently from the conference resources being developed. Invite individuals in your congregation. Use one or more of the resourse below. Share this post on Social Media. Click below on your favorite social media icon and invite others to join you in this study. Copy and paste this announcement. We look forward to exploring the depths and breadth of Galatians with you starting April 22. In the meantime, sign-up and explore the daily reading plan. It is easy to do the same with our faith. It is tempting to stay close to where we got in and never move. Growth is important to every Christian. When a Christian stops growing, help is needed. If you are the same Christian you were a few months ago, be careful. 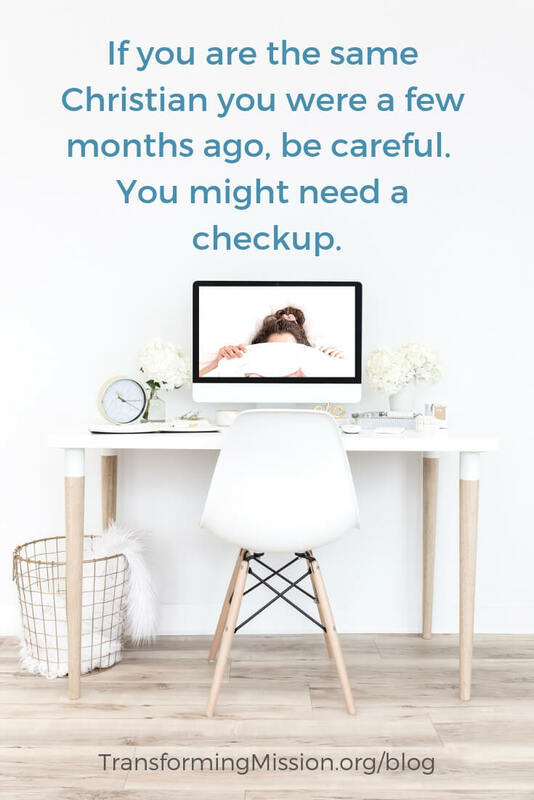 You might need a checkup. Not on your body but on your heart. You don’t need a physical checkup, you need a spiritual checkup. Growth is especially important in becoming a courageous leader. For whom or what am I GRATEFUL? How am I practicing FAITH? Today, I want to share my experience with this spiritual habit. It has become a weekly checkup for me. I Want to TGIF! Send me the Guide! I am trusting the habit of prayer. I have been reflecting upon Paul’s words to the Roman Christians, “Be happy in your hope, stand your ground when you’re in trouble, and devote yourselves to prayer” (Romans 12:12 CEB). I have learned that the only way I can deepen my prayer life is to pray. 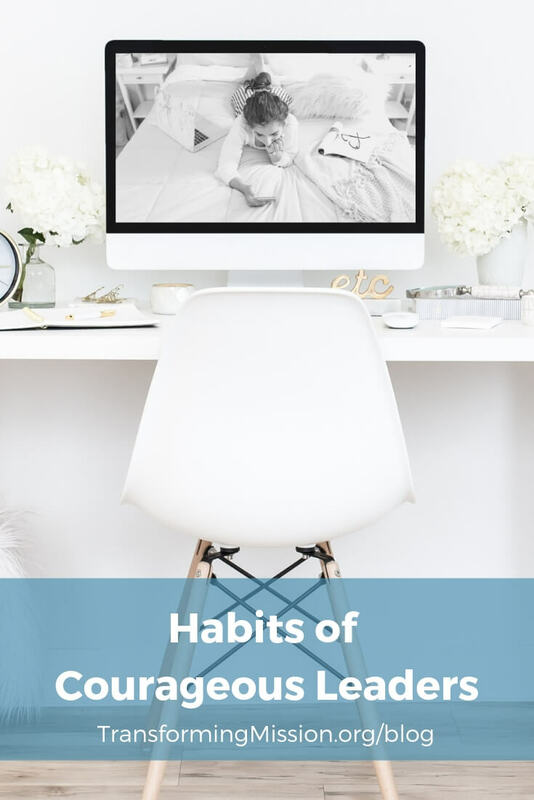 In fact, I am trusting a shift in my habit. It is a shift from having a prayer life to living a life of prayer. I have also learned that courageous leaders have a habit of prayer. So, let me offer you some encouragement. If you want to deepen your prayer life, then pray. Trust your relationship with God and pray. Don’t attend a prayer lecture, engage in prayer discussions, or read “how-to” pray books. Each activity is important, but the best way to establish a habit of prayer is to pray. This week, I am grateful for trusted friends. I am grateful for those so close they not only love me just the way I am, but they give of themselves so I can become who God created me to be. I am grateful for the embodiment of unconditional and unselfish love. I am grateful for the habit of meeting with or connecting with those who can speak truth with such love that I want to be more like Jesus. 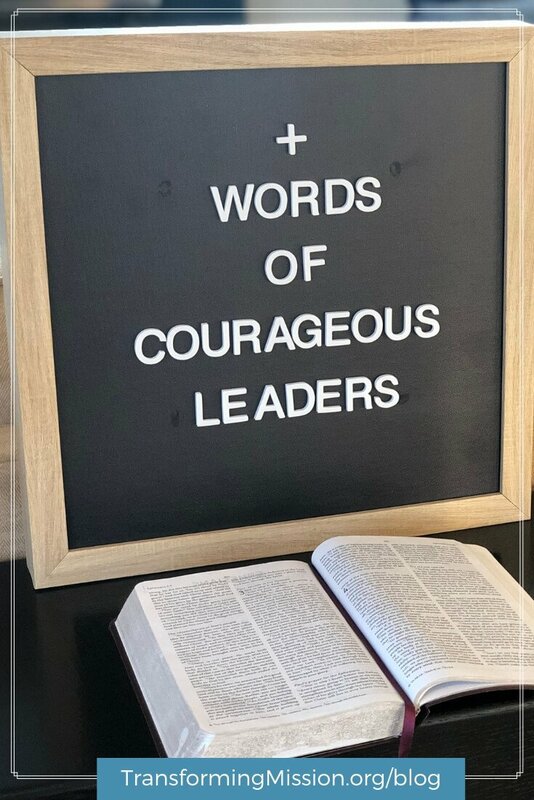 It has been my experience that courageous leaders are surrounded with trusted friends who love so deeply they can speak the truth that brings transformation. As leaders, we have the opportunity to model such love. I have learned that without those trusted friends, it is easy to compete with one another, insist on our own way, and quarrel with one another. Courageous leaders, surrounded in love, step into the world to live and lead in such a way that we model the love of Jesus. This week, the habit of worship is inspiring me. Consider the words from the letter to the Hebrews, “Don’t stop meeting together with other believers, which some people have gotten into the habit of doing. Instead, encourage each other especially as you see the day drawing near” (Hebrews 10:25 CEB). Because I worship in different churches, with different Christians, at different times, I have learned to celebrate God’s love in every act of worship. Through my experience of worship, I have learned that courageous leaders are inspired in and through a habit of worship. So often, as leaders, you and I need support and encouragement. We need to be with people who celebrate God’s love in Jesus and who share God’s love as natural as breathing. We need the fellowship of like-hearted people, focused upon Jesus, leading the mission of reaching out and receiving people in God’s love, introducing people to God’s love, practicing God’s love, and engaging the community in God’s love. How am I practicing faith? I am practicing faith by fixing my eyes on Jesus. My Lenten journey has me engaged in reflecting and sharing the grace I have experienced in and through Jesus and my friends. This week I have reflected upon Jesus looking at the broken and distorted parts of my life. Instead of judging and condemning me, Jesus knelt in front of me and, from the basin of grace, he scooped a palm full of mercy and washed away my sin. This week I have reflected upon how he has taken up residence in my life and has given me the opportunity to offer the grace I have received. Because he has a forgiving heart, I have a forgiving heart. Because he has forgiven me, I can forgive others. John, in his Gospel, writes, “If I, your Lord and Teacher, have washed your feet, you also should wash each other’s feet. I did this as an example so that you should do as I have done for you” (John 13:14-15). As courageous leaders, you and I must look beyond the literal reading of that scripture and allow ourselves to be washed by God’s love. Courageous leadership is rooted in the message of God’s mercy. Jesus offers unconditional love so we can offer unconditional love. God’s grace precedes our mistakes, so our grace precedes the mistakes of others. Those of us in the circle of Christ have no doubt of his love. We now have the responsibility of enlarging the circle to include others who should have no doubt of our love. If you and I are going to be who God created us to be, we need to keep growing in our faith. So, how are you growing in faith? What are you trusting? For whom or what are you grateful? What is inspiring you? How are you practicing faith? Courageous leaders don’t make the mistake of the little boy. They have habits that help them grow beyond where they started, engage in God’s love, and grow to become who God created them to be. So, let it be! Who or what makes us who we need to be for the congregations and communities we serve? What makes any one of us effective in our leadership? How do you and I become self-differentiated leaders? What helps us remember who we are as Jesus followers and keeps us focused upon why we do what we do? According to Saks, effective leaders are honest with themselves. They have the courage to say yes to who they are and no to who they are not. Even in the midst of pain and conflict, they emerge less conflicted and more focused than before. Effective leadership, according to Saks, grows out of our struggle in the midst of a conflict of values. So, in the midst of the stress and anxiety of our United Methodist Church, what helps us remember who we are as Jesus followers and keeps us focused upon why we do what we do? At baptisms in our local churches, we hear the words, “remember your baptism and be thankful.” We are saying, remember who you are and whose we are. As effective leaders, we remember that we are God’s beloved and that we are part of God’s plan and purpose. So, in the midst of stress and anxiety, remember who and whose you are. In the church, when participating in Holy Communion, we hear the words, “do this in remembrance of me.” In other words, remember why you do what you do. The word “remembrance” means to “wake up, to open your eyes, to call to mind or action.” In Holy Communion, we wake up to why we do what we do. As effective leaders, we must wake up to why we do what we do. So, in the midst of stress and anxiety, remember why you are in this ministry as a follower of Jesus. I have been thinking of who you and I need to be in the midst of the stress and anxiety of our United Methodist Church. I believe we need to be leaders of authenticity and integrity. We need to be courageous, more dependent upon character and charisma. We need to be strong from the inside out and have the capacity to model and share God’s love in difficult situations. Together, we need to be missional leaders who can and will lead our congregations to engage our communities, neighborhoods, and cities in love of God in the midst of stress and anxiety. In short, we need to be self-differentiated leaders who know who we are in relationship with Jesus, our congregations, and our communities. As Jesus followers, be who you are. Even if leading is painful, stand firm in faith and move forward with grace. I wrote a few weeks ago that every Friday I am answering four questions. The first question is this: Who or what am I trusting? My purpose here is not to delineate the plans or debate the choices made at General Conference. My purpose here is to say, I am trusting Jesus to help us embody the love of God to one another in our words, our actions, and our interactions. I am trusting Jesus to help us remember who we are and whose we are. All so we can love God, love our neighbors, and change the world. What values are at play? If there is anything that I can say one week after General Conference, it is this: there are A LOT of intense feelings swirling around us and in our faith communities. 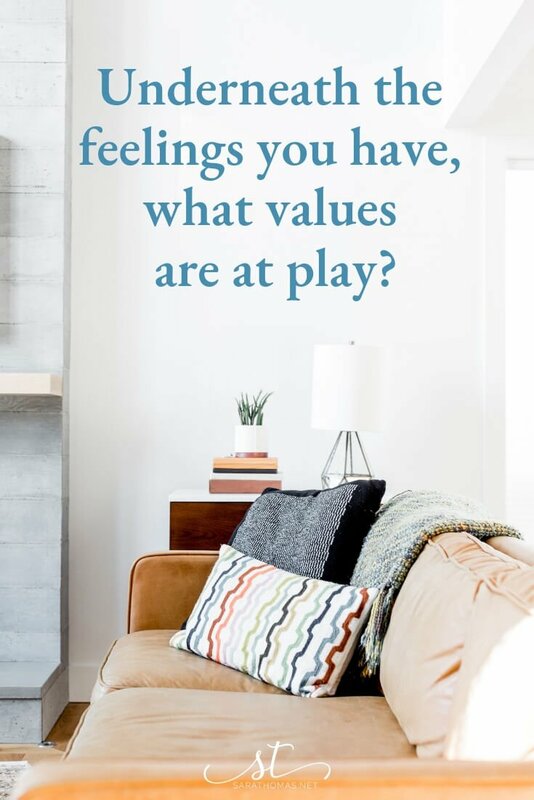 So, in addition to the questions above, I invite you to consider this question: Underneath the feelings you have, what values are at play? This question is meant to help you begin to process what you are feeling, not to debate the merits of the General Conference decisions. Our feelings are often driven by our values. When our values are pressed or denied, we can find ourselves in conflict. To explore what you’re feeling, consider the 3-4 values driving your feelings. anxious, what value is underneath it? victorious, what value is underneath it? hurt, what value is underneath it? confused, what value is underneath it? relieved, what value is underneath it? sad, what value is underneath it? ___, what value is underneath it? I have had countless conversations with pastors and people in our congregations. General Conference has left a large number of individuals with a need to further explore their reactions, feelings, and responses. Helping people in processing is what I have been trained to do as a coach – in complete confidentiality and impartiality. As many of you know, we created Coaching Cohorts for pastors in the district. In addition, I am making myself available for one-time, individual coaching conversations for pastors during this time. I have created some space in my calendar over the next several weeks. This conversation would be different from some interactions you might have because the purpose is not to commiserate, celebrate or persuade. My commitment is to objectively help you explore your feelings, needs and responses in an environment of complete confidentiality. Click here to let me know if a generative conversation for the purpose of processing would be helpful to you right now. Reading those words took me back to that Sunday morning where I was given the opportunity to step up in leadership for the first time. That reflection led me to think about you as leaders in the churches of the Capitol Area South District. We have entered a time when our congregations need leaders of authenticity and integrity. Be the courageous leader we need. One who is more dependent upon character than charisma; who are strong from the inside out and who have the capacity to model and share God’s love in difficult situations. More than any time in recent history, we need missional leaders who can and will lead their congregations to engage their communities, neighborhoods, and cities in the midst of the tension and stress. In short, our United Methodist Church needs you. We need you to be the leader who knows who you are in relationship with Jesus, your congregation, and the community in which you live and serve. We need leaders who are like trees planted by the water, who produce the fruit of love and who stand firm in courage. We need you to be less focused upon pleasing people and more focused upon loving and leading people. We need you to lower the levels of anxiety and raise the possibilities of creativity. 1. Keep yourself centered upon following Jesus. Read the scriptures and pray daily. Surround yourself with persons who challenge you to grow in your faith and who will keep you focused upon Jesus. 2. Base your decisions on “making disciples of Jesus Christ for the transformation of the world.” Being a disciple of Jesus and discipling others by loving them and modeling Christlike behavior is the leadership needed at the point and time. 3. Be a courageous leader. It is okay to be afraid. Face your fears and anxiety. Be the person God created you to be and stand in the middle of the chaos. With your eyes upon Jesus and being centered upon the mission of the church, you can be a courageous leader. 4. Guard your personal integrity. Failure to self-manage will destroy you as a leader. Remember your baptism. Remember who you are and whose you are. Remember what God has gifted you to do at this point and time in history. 5. Create a space where people can reflect and have a conversation. As the leader, take the initiative to create a space where people have the opportunity to think and reflect. Then create the space for people to express their thoughts and feelings. 6. Be approachable. When making decisions, let people know you what you are thinking. Listen to others. Engage others in conversation. Keeping your eyes upon Jesus and being centered upon the mission of the church, lead in making the decisions that keep the congregation growing as Jesus followers and engaged in the community. 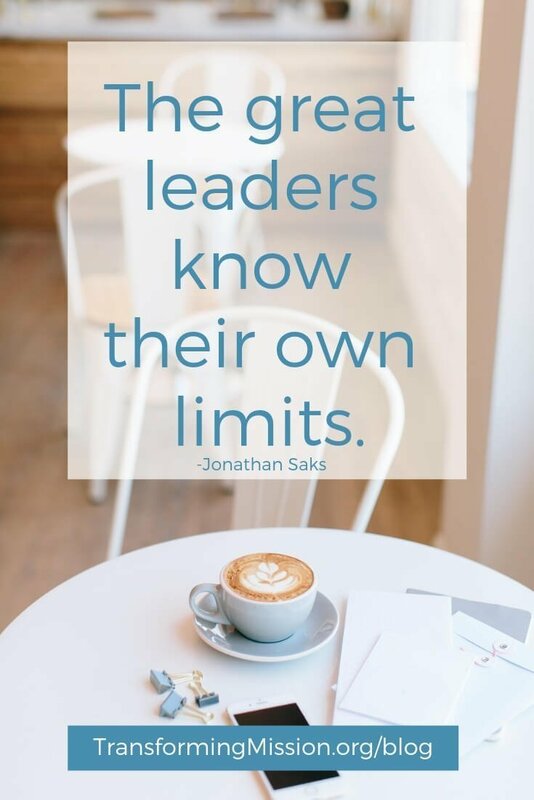 There is nothing weak about listening and learning as you are leading. 7. Learn from your mistakes. No one of us gets it right every time. Just have the courage to make the tough calls. Lead by being a grace-filled follower of Jesus. Invite those around you to put their faith into action. 8. Make prayer and reflection a part of everything you do. Prayer in the midst of tough calls is a sign of strength. It comes from practicing prayer in the midst of all times. Reflect upon the day. Where did you see Jesus? How did God get you through the business of the day? 9. Trust God in all you do. God would not have called you to be a leader if God was not going to equip you to be a leader. 10. Remember that God is the One who planted you. You are not alone. There will be storms with wind and rain. Stand firm and lead as God has created you to lead. In this season of stress, anxiety levels are high. At times like this, people become more reactive and less thoughtful. Their world closes in upon them and their capacity to love shrinks to the size of their arrogance, manipulation, and control. Our church needs you to lower the anxiety level and to lead people to become who God has created them to be. Like a tree planted by the water, our church needs you to step up as a leader. Now is the time to be a courageous leader and to produce the fruit needed for this season. Listen to Episodes 050 – 056 of LeaderCast. At the end of each episode, we offer a resource to help you practice courageous leadership. 050: What Gets in the way of disciple-making? 052: Can I trust you? The truly happy person doesn’t follow wicked advice, doesn’t stand on the road of sinners, and doesn’t sit with the disrespectful. Instead of doing those things, these persons love the Lord’s instruction, and they recite God’s instruction day and night! They are like a tree replanted by streams of water, which bears fruit at just the right time and whose leaves don’t fade. Whatever they do succeeds. Evangelism is inviting other people into a relationship with Jesus by telling your stories of Jesus. Your stories become the spiritual interactions that assist them in experiencing God’s love, that allows them to journey with Jesus, and to make his story their story. My mother was a storyteller. For much of my life, she was one of the best storytellers I knew. Whether she was talking about growing up in Virginia or teaching my sister, brothers, and me to tell a joke, she entertained us in the car, on camping trips, and at family dinners. Although she told her stories over and over, I never grew tired of hearing them. The words she used, the descriptions she provided, the details of the conversations between the characters, seemed better each time she told her story. As a nurse, Mom worked several years in an industrial setting and later in a mental health hospital. Her patients were eager to listen to her stories and to tell their own stories. She kept anyone who would listen on the edge of their seats or doubling over in laughter. She could hold their interest in the midst of the workplace as well as their never-never land of wide experiences. When I went off to seminary, my professor of preaching was Dr. Fred B. Craddock. Without question, no one has had more influence in shaping a generation of preachers than Fred Craddock. He, more than any other preacher I know, could tell stories in a way that made me, as a listener, feel as if I was in the midst of the events of the story. 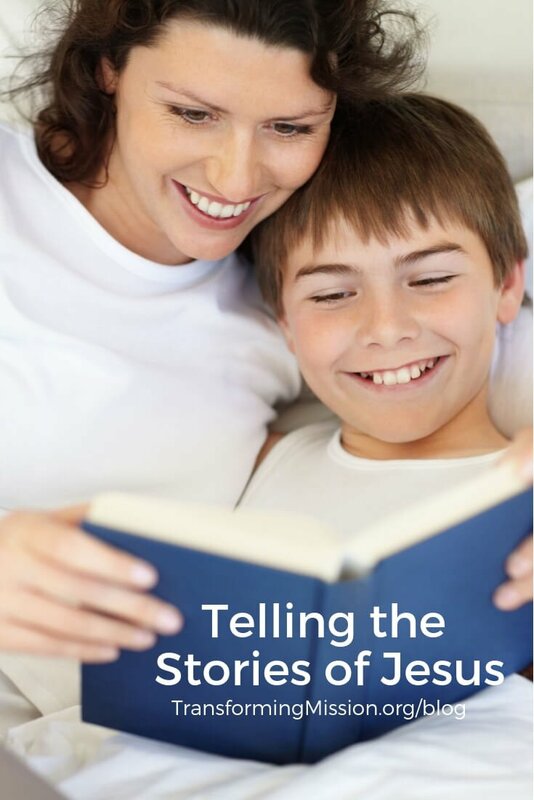 Given my mother’s influence and what I learned from and experienced with Fred Craddock, it should be no surprise that I find storytelling important in sharing the gospel of Jesus Christ. But even more than my experience, it is a well-known fact that telling God’s story has the power to warm your heart, transform your living, and to keep your relationship with God and others healthy and alive. I learned long ago that evangelism is not convincing other people to accept what I believe, but is telling the world a better story, a story of love, peace, and forgiveness. In a world where people are seduced by the wrong stories, you and I have the opportunity to tell God’s story. One of the fascinating things I have learned about telling God’s story is this: the more I tell the story, the more I live the story. As I grow in my relationship with God, the more I become part of God’s story. It works like this: when you tell the story of Jesus forgiving his enemies, you become someone who forgives your enemies. When you tell the story of Jesus crossing the street to help an outcast, you cross the street to help the nearest outcast. When you tell the story of Jesus being open and accepting of persons living on the margins of life, you become the person who is open and accepting of those marginalized. As Christians, we don’t just tell the story of Jesus, we become part of the story of Jesus. You are a Christ introducer and a life connector to an ongoing, never-ending story of love, peace, and forgiveness. When you don’t tell your story, your silence is saying that God has done all that God is going to do. Your silence turns the work of evangelism into a program. You are no longer a storyteller but a salesperson of a tradition. 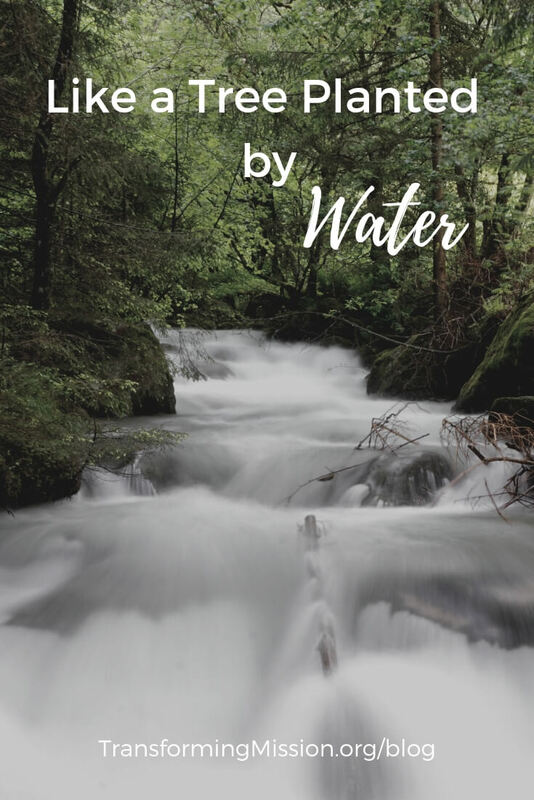 You are the giver of living water and of the bread of life. When you don’t tell your story, your silence is saying that the water stagnates and the bread is stale. The work of evangelism is “one beggar offering another beggar bread.” It is inviting other persons to drink of the water that quenches their thirsts. Your story is a gift of grace, grafted into God’s story. When you don’t tell your story, your silence is saying that the experience of God’s grace is nothing more than a “box” to be checked and an addendum to a busy life. So, let me say it again, evangelism is not convincing other people to accept what you believe but is telling the world a better story, a story of love, peace, and forgiveness. In a world where people are seduced by the wrong stories, you and I have the opportunity to tell God’s story. We invite them into a relationship with Jesus by telling our stories of Jesus. Our stories become the spiritual interactions that assist them in experiencing God’s love, that allows them to journey with Jesus, and to make his story their story. Today, I invite you to step up and to step out to tell your story. When you are motivated to share your story, share it. When your story makes you think of another person; call, text, email that person and share your story with them. You have a story to tell, so tell it. You have a story to share, so share it. As Christians, we don’t just tell the story of Jesus, we become part of the story of Jesus. The more we tell the story, the more we live the story. The world around us is setting on the edge of their seats waiting to hear the greatest story ever told. So, let me tell you a story.